How Do I Find The Right Pedestrian Accident Attorney? If you’ve been involved in a serious accident as a pedestrian, the injuries you’ve suffered are likely severe and life-changing. If the accident was someone else’s fault – for example, a speeding or distracted driver hit you while in a crosswalk – you may be entitled to money. If the above applies to you, it’s a good idea to hire a personal injury attorney to fight for you. But how do you know what you’re looking for, and will the attorney have your best interests in mind throughout the process? Answering these questions requires doing your due diligence and making an informed decision. 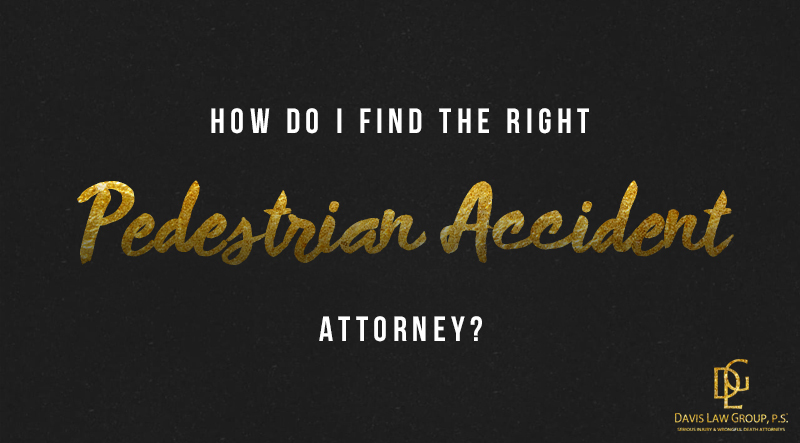 Here are some tips for finding the right pedestrian accident attorney to represent you. 1. Start looking for an attorney ASAP: Once your well-being is secured and you’re able to process the magnitude of the situation, it’s a good idea for you or someone you love to begin looking for an attorney. The sooner your attorney can open your case and evaluate evidence and interview witnesses, the better. 2. Consult with several attorneys before making a choice: While it’s important to begin the process quickly, don’t rush out and hire the firm personal injury lawyer you find. This decision may be one of the biggest of your life, and you want to make sure you hire the right attorney for your case. 3. Find out how many cases like yours the attorney has handled: When consulting with potential attorneys, look at their track record when handling cases such as yours. There are huge differences in the knowledge needed to handle different types of accidents, and an attorney’s ability in one area might not translate to what you need most. Also, look at how many cases like yours the attorney has taken to trial (and did they win). The right attorney shouldn’t be afraid to take a case to trial. 4. Look at the attorney’s online reviews: Google and Facebook are two good places to look for this. An attorney’s past clients should give you an idea of what you would be getting. 5. 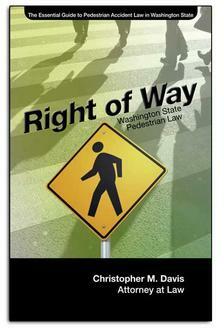 See what kind of resources you attorney has: Pedestrian accidents can be complex and take years to settle. Your attorney should have the financial resources to hire experts, take depositions and invest in your case. The right attorney will see your case through to the end to secure you the best possible result. If you have been injured as a pedestrian in an accident caused by another person’s negligence, you may be entitled to compensation for your injuries, pain and suffering, medical bills, lost wages, and other losses. The Washington State pedestrian accident lawyers at Davis Law Group, P.S., are available today to speak to you about your pedestrian accident. Call us at (206) 727-4000, use the chat feature below or fill out the form on this page to schedule a complimentary case evaluation. ?How Do I Find The Right Pedestrian Accident Attorney? ?How Much Does It Cost To Hire A Pedestrian Accident Lawyer? ?How Do I Pay My Medical Bills After A Pedestrian Accident?